Pub crawls can be great communal fun, until you're forced to leave bars you like for ones you don't with some dude in your group who keeps calling you Thad, even though you've already said several times you prefer "Thaddeus". 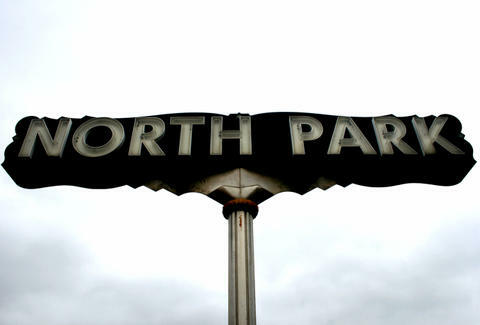 Providing all of the crawl's boozy good times spiked with a dose of freedom, the North Park Pub Sprawl. Giving you the feel of a crawl without forcing you to keep a schedule or hang with nice gentlemen from the wrong El Cajon Blvd, the NPPS begins when you snag a $5 drink ticket at either True North or West Coast Tavern (buy five and get a raffle ticket!) then cruise to your choice of 11 participating bars and restos within walking distance to cash in said tickets for special discounted crafty 'tails, but not crafty Tales, as that's just a DuckTales spinoff in which Huey, Duey, and Louie teach you how to knit matching ball caps and shirts. If you prefer your booze brown, bourbon concoctions can be had at eclectic-art-covered Bluefoot Bar & Lounge (root beer schnapps/ Sprite/ bitters "Dr. North Park"); the trippy elephant-adorned Bar Pink's tonic/ bitters/ lemon wedge "Moustache", and the cinema-esque WCT's ginger beer/ lime/ mint "The Donkey", which has a hell of a kick. Those with Commie tendencies can snag vodka drinks at the dimly lit Office ("The Black Monday" -- black cherry vodka, pomegranate & cherries), True North (classic Moscow Mules) or head back to Bluefoot again for an iced tea vodka/St-Germaine/sweet & sour Wild Island, also a show in which Minnesota hockey players are tempted by 30 single women, none of whom have any idea who they are. And if you're still thirsting for more, you have issues not worth bringing up Redwing Bar & Grill's got you covered with energy drink/Jager "Power Blasters", and you can snag sangria, craft beers, or any Michelada/Chavela at El Take It Easy, which is what you're going to have to say to that dude, if he tries to pull that Thad ish again.